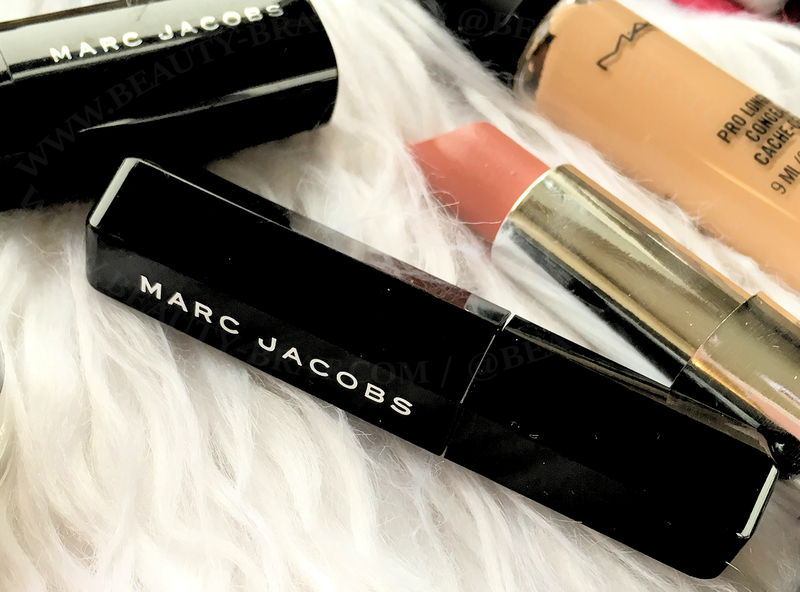 Marc Jacobs Velvet Noir Major Volume Mascara is one I had heard quite a bit about. I had never seen a bad word said against it – everyone loved it. As Marc Jacobs beauty is unavailable in Ireland I could never see this in person. Because its pricey £22.00 / $26.00 I wasn’t willing to splash out on it without having at least tried a sample size of it. Earlier this year I managed to get my hand on two samples so I was finally able to try this mascara. I am pretty hard on mascaras. I expect a lot from them and there are very few mascaras that tick all the boxes for me. Most don’t, but there are a handful of gems that do. This mascara, however, is one of them. In mascaras I look for a number of things. The things I look for are separation, definition, length, volume, longevity, no flaking or smudging. I also want my mascaras to be super black. I want defined, but voluminous super black lashes. I’d had this mascara for about two months as I was using up others I had but when I read this post on Beautylymin I knew I had to start trying this mascara a.s.a.p. Marc Jacobs Velvet Noir Major Volume Mascara ticks all of those boxes. Every. Single. One. The wand on this mascara is quite long, and because of my eye shape usually I prefer wands that are shorter and curved as they tend to ‘fit’ my eye shape better. However the wand on Velvet Noir works well for my eye shape and size. It coats each and every lash evenly, but doesn’t overload my lashes so that the mascara smudges, smears and gets on my brow bone etc. it applies just the right amount of product. I don’t feel the need to put the wand back into the tube a few times to build up the product on my lashes. Doing it once is just enough. This mascara has a very light formula and because of how light it is, it doesn’t weigh down my lashes. Velvet Noir helps to lift and curl my lashes and helps them hold both. This is the big thing for me with this mascara, most mascaras don’t do that. Sure, they will give a lift and curl, but often it doesn’t hold. I have applied this at 7.a.m and by 9.p.m at night my lashes still look as they did when I first applied this mascara. There aren’t any black flakes around my eye area or on my cheeks. I know I can rely on this mascara to last all day and my lashes will look great all day. It’d be a brilliant mascara for special occasions, nights out etc. because of how well it lasts. I also know that my lashes will look great the entire day. Have you tried Marc Jacobs Velvet Noir Major Volume Mascara? Or any of their other mascaras? I would love to hear your thoughts.